Shopperwear Fashion is known to delivery premium fashion accessories to all customers around the world with one of the most quickest shipping methods available in this on-line marketplace. 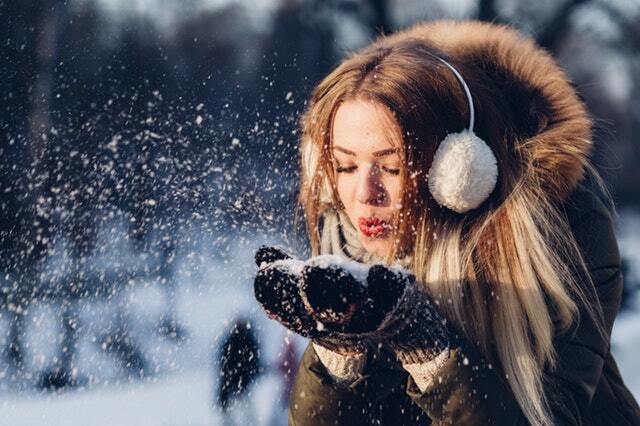 It showcases some of the latest and highly trending winter outfits for women at cheapest prices along with eye popping discounts and picture perfect deals for a satisfying shopping experience all through the interface. The year 2017 – 2018 has been a year of intense fashion re-modification where the late 70s and 80s trend has been reinvented to produce some of the most classy and highly followed fashion styles for this autumn winter season. Shopperwear Fashion has been able to capture most of these accessories and have created an excellent collection of new product for this season. 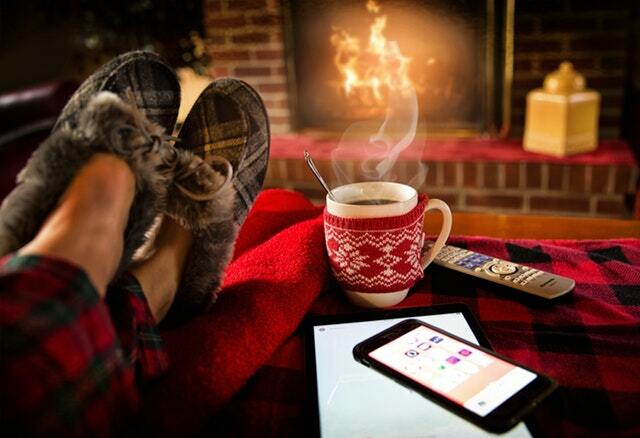 It has indeed updated a lot of new categories in winter section for both men as well as women, with different varieties of coats, jackets, hoodies, sweatshirts, pullovers, sweaters, cardigans, boots, dresses, leggings, stockings, shoes, flip flops and denim wear for All In One Solution to your shopping needs. The best part of it is the free shipping policy all across the world with as little as 12 days of delivery time and not to forget the easy return policy as well. It also covers almost all section of event oriented dresses like prom dresses, evening wear, party apparel, formal wear, casual wear and household outfits for almost all season throughout the year. The new 2018 arrival of formal wear for men and women are amazing and eye catching in both looks and design, with top quality material used for its manufacture and not to forget the healthy discount on every product available on Shopperwear Fashion. Known for its high quality hand picked fashion items, this shop amazes every returning visitor with something fresh and totally unique. 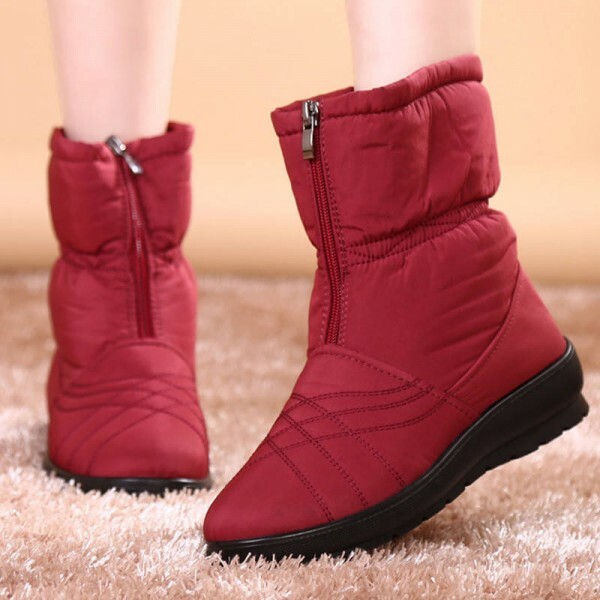 High quality genuine leather boots for women are another new addition to Shopperwear Fashion with warm fur inside it to insulate heat and the highly quality snow boots with waterproof and windproof properties are so very popular. 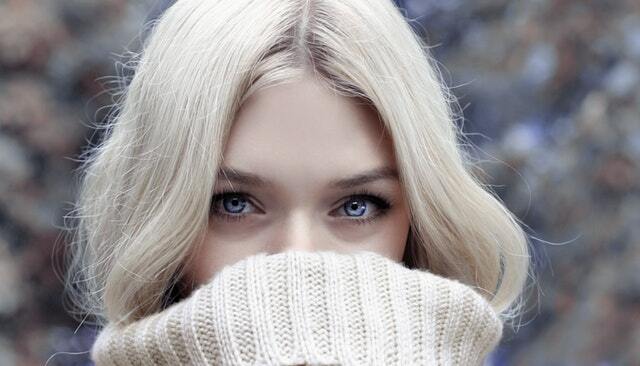 Warm cashmere sweaters are also available at cheapest prices and even warm velvet leggings which provide you premium comfort during the intense cold. Leather jackets are another category with huge collection of freshly designed apparel. Unique mix of denim, leather and wool to produce a new fresh outwear best for any kind of outdoor activities. Warm highly elastic and push up fitness clothing are also available on Shopperwear Fashion with perfect pricing, mostly used for jogging, running or yoga activities this outfit gives you comfort at your home. You can also check the latest arrival of trekking, hiking and casual shoes for women at a discount of up to 30% on selected products. Let us dive into the most awesome collection of winter outfits for women which is exclusively available on Shopperwear Fashion at best deals and mouth watering discounts. The new highly trending lantern sleeve design is getting very popular and well accepted by women which truly creates a fashion statement in 2018, covering almost all possible categories of apparel from tops to sweaters. The new designer sweaters, cardigans and hoodies for women are the top selling products on Shopperwear Fashion this year. 2018 demands something new in design and this outfit just provides you that slight modification in style which can rank you a bit higher in the fashion community. Highly searched design this year, the lantern sleeved sweaters are made of high quality wool and provides you with an ultimate comfort during the cold season. The lantern sleeve hollow out design has been indeed propagated across all possible categories including hoodies, sweaters, cardigans and even sweatshirts especially targeting the autumn, winter and spring fashion. Strapless large hollow sleeved dresses are also attracting the attention of fashion experts as a new party wear for women. The off shoulder design mixed with lantern sleeve is the another trend which is creating wave globally. This lantern sleeve with vertical stripes have been showcased almost everywhere this year and even at the New York Fashion Week several times. Get all these collection at some of the cheapest prices available only on Shopperwear Fashion. Shrugs and ponchos are dresses for a formal look and very popular among business classes and executive working women. Working women like to dress differently everyday and winters bring great variety in dresses to wear, this is where shrug ponchos are the new trends of 2018. A high quality warm woolen poncho with a leather handbag looks awesome with denim skinny pants and mid length leather boots, Perfect! 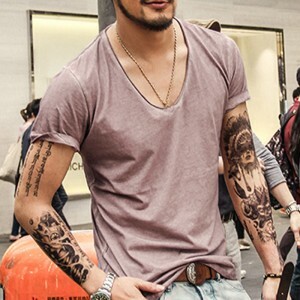 This style gives you a top class fashion statement this year. This season brings new collection of highly trending shrugs and ponchos with a fresh arrivals on Shopperwear Fashion available at mouth watering deals and discounts. New ethnic design embroidered cashmere ponchos and shrugs are also available at cheapest prices with a variety of color combination to choose from. Hoodies and sweatshirts are the most popular outfits for any season worn almost all throughout the year in any kind of activities like normal household uses, jogging, fitness events or a casual walk to your market. 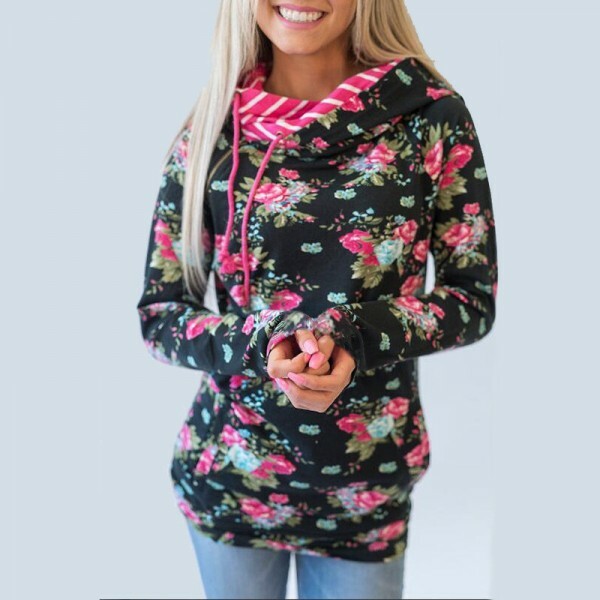 Hoodies provide you a simple, easy and complete solution to all necessities required from an apparel, with warm hoods to protect your head and neck region from the cold and a loose stretchy feeling for an ultimate comfort, hoodies are so very popular among females. Shopperwear Fashion showcases new design this year with fresh arrival and new color combination. 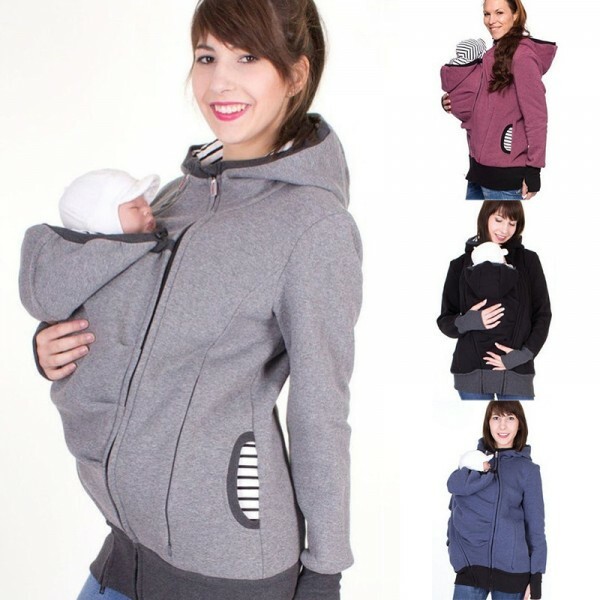 The new collection of parenting child carrying pouch hoodie for women is available at best deals with free shipping on every purchase. Turtlenecks are always a classic during the cold winter season, especially if you plan a night out with your friends or family, you need this outfit to protect your neck region from intense cold condition. 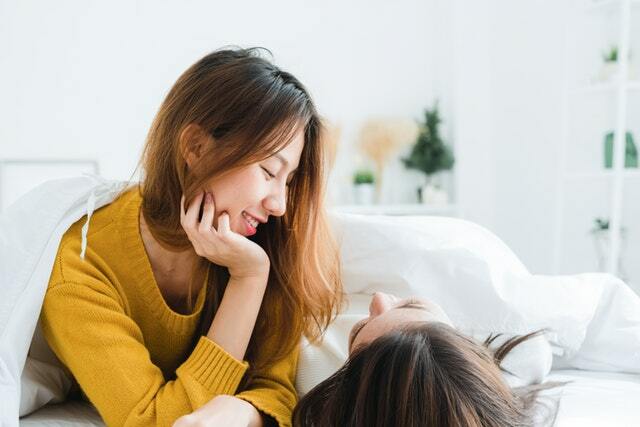 Turtleneck are perfectly designed to insulate maximum amount of heat inside your body thereby providing you with very warm feeling from inside. New trending designer turtlenecks with a variety in design and color combination are available on Shopperwear Fashion. The new 2018 collection is available at cheapest prices with best discounts and an easy shopping experience with direct purchase options. Browse through the collection of sweaters for some unique designer turtlenecks which you should consider to grab hold inside you wardrobe this season instantly. 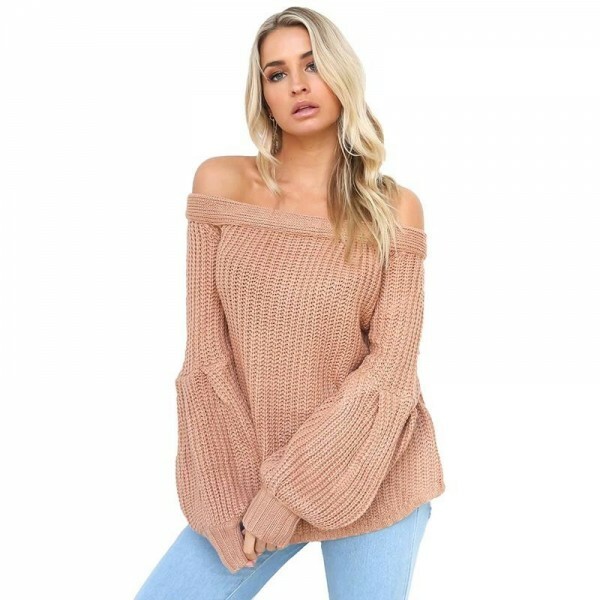 Turtlenecks are mostly popular among executive working women and college girls, hence it is always advisable to go with the trend and check out the collection available on Shopperwear Fashion. New collection of designer parka jackets, woolen jackets and leather jackets are available on Shopperwear Fashion for you to buy at exclusively discounts up to 30% OFF on selected collection. New designs like the variety in color, lengths, the slim fit design and modification in stitching have produced new and fresh design this year. Fresh new collection of jackets have been spotted by fashion lovers on Shopperwear Fashion this year. Parka jackets provide you ultimate protection during winter best used for any kind of outdoor activity or during intense snow this jacket is perfect guaranteeing complete comfort in feeling and add up that hood for an extra in everything. 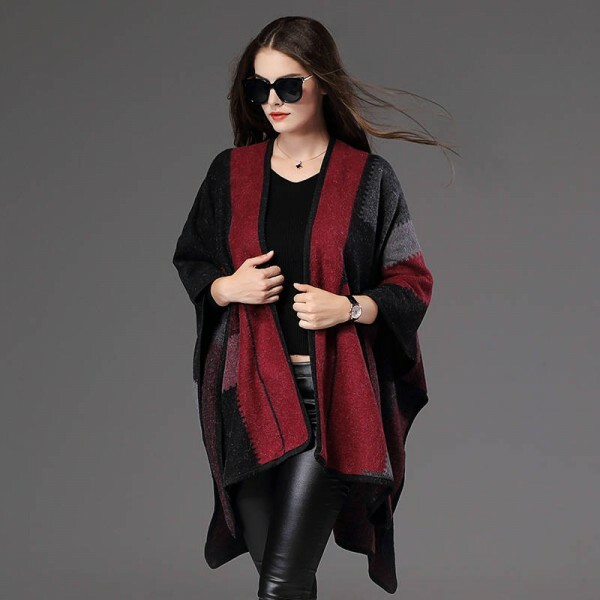 The long length loose cardigan and robes for women have really caught the attention of females this 2018, which various different design and high quality material used, this long length cardigan has been in high demand among fashionable females of all ages. 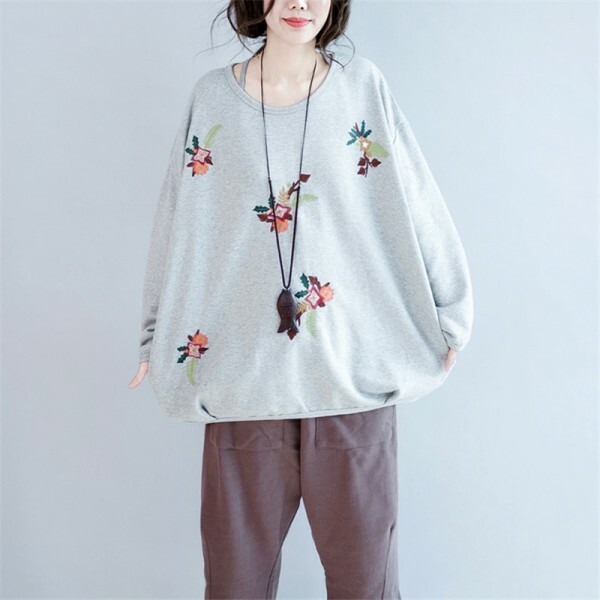 Especially can be termed as a favorite for autumn spring season, but there is no excuse as to why you should be avoiding this outfit during winter, just due to its recent trend, it is getting very popular. You can check out the huge collection of knee length cardigan sweater, loose fit long shrugs, long woolen sweaters and many other varieties. 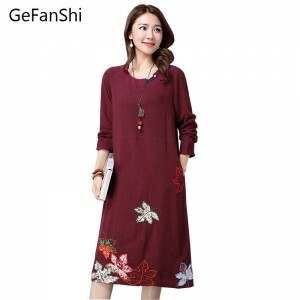 Available in different styles and made of high quality wool, synthetic material and cotton, this category of apparel is just available on Shopperwear Fashion. 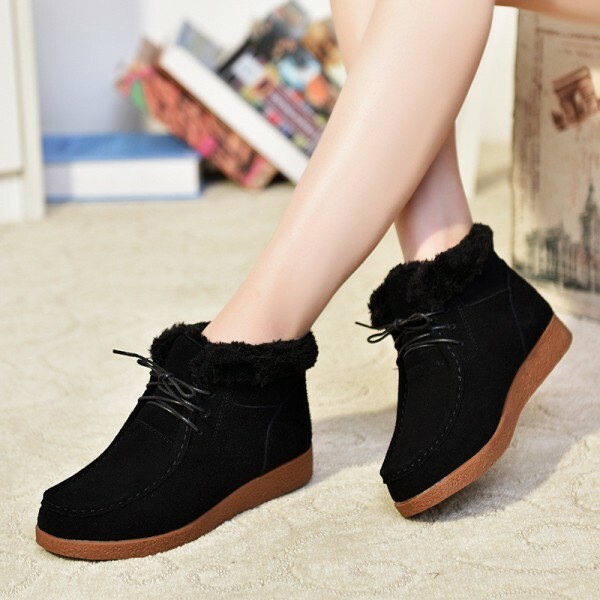 The newly trending fresh collection of 2018 leather boots, ankle boots and high heel knee length leather boots for women are newest on Shopperwear Fashion. Pure 100% genuine leather boots with warm fur inside for extra comfort and excellent heat insulation. Shopperwear Fashion showcases a huge collection of ankle boots for every occasion like parties, outings or a casual visit to your nearest marketplace, this winter basics should be your wardrobe classic this season. Boots on Shopperwear Fashion are of top quality material and made of genuine leather with soft comfortable sole for extra comfort and well built dynamics to give your feet a pure pleasure of comfort. Mid heel, flat heel and high heel boots are available with different designs with zippers or laces and even boots with buttons as well. New trends like the cocktail mix of leather with denims, cotton and synthetic materials have produced new styles for 2018 fashion. So why not give your wardrobe a new pair of ankle boots this winter and start your year with a bang! Shopperwear Fashion houses high quality warm winter leggings for men as well as women, thick velvet leggings with faux fur inside to give you ultimate pleasure while wearing one of these awesome winter outfit. Leggings are the most important winter accessory which can be used as an inner layer with any kind of bottoms like trousers, pants, jeans or even skirts, hence keeping a good collection of these clothing will most obviously help you a lot this winter season. Highly elastic, stretchable, push up and long lasting leggings are available on Shopperwear Fashion. Other modification of leggings like jeggings which is a bit thicker than a normal legging gives you a jeans like look to leggings which are highly elastic and provides your body a perfect slim figure. Hot pants are slim fit tight skinny pants which can be used solo or as a layer inside any kind of upper clothing. 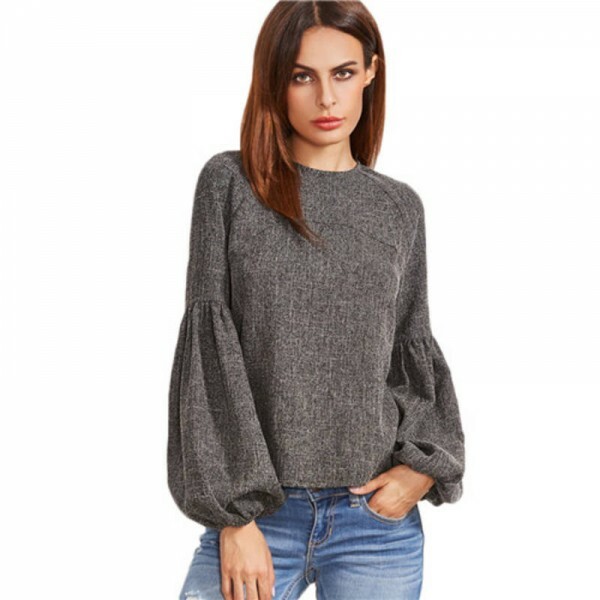 These are the most trending winter outfits available on Shopperwear Fashion with great deals and discounts on every purchase and limited stock guarantees uniqueness. These outfits will never fail you in any kind of condition all throughout the winter and will last you for years to come to most possibly become your wardrobe classic. Shopping on Shopperwear Fashion is easy and fun with super fast transaction with Paypal which is currently accepting credit cards and debit cards, hence shop to the fullest and grab yourself a new style this season only on Shopperwear Fashion.